Leaf Spring Orthosis adjustable to the cuff. 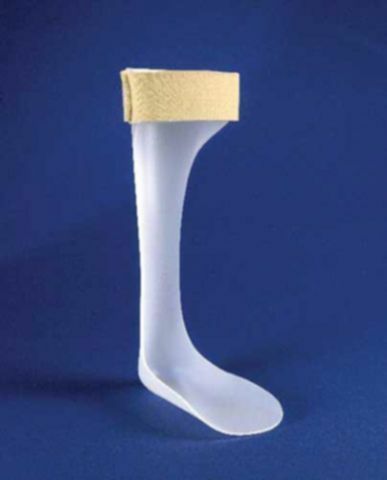 Leaf Spring Orthosis adjustable to the cuff with Velcro straps. It restrains the foot in 900 angle. Size: S (36-38), M (38-40), L (40-42), XL (42-45). Shoe size.